Washington, Jan 22 (PTI) Kamala Harris'' plunge in the 2020 US presidential race has thrilled the Indian-American community which considers the first Indian-origin Senator''s "groundbreaking" announcement a "proud moment" and a reflection that Indian-Americans have finally arrived at the centre stage of US politics. Harris, 54, officially launched her campaign for the US presidential election in 2020 to take on President Donald Trump on Monday, saying she was "honoured" to announce her bid on a day when Americans celebrated Martin Luther King Jr who sought inspiration from Mahatma Gandhi. A rising party star and vocal critic of President Trump, Harris, who is quite often described as the female Barack Obama in the Democratic party, is the fourth Democrat to join the battle for the party''s nomination in the next year''s election. While it''s too early to say on the results of the grilling presidential primary that would conclude with the Democratic National Convention in July 2020, the Indian-American community leaders said Harris – who is of mixed parental heritage from India and the Caribbean – has a fair and clear shot at the White House. "It''s a proud moment for the Indian-American community to see one of our own announce to run for the president," eminent philanthropist and venture capitalist M R Rangaswami, founder of Indiaspora, told PTI. Indian-American Impact Fund, a political action committee that supports Indian-Americans candidates, said it was "thrilled" by Senator Harris'' "groundbreaking" announcement. "As the first viable Indian-American candidate for President of the United States, she is a trailblazer for our community and a champion for our values. We applaud her decision and look forward to supporting her enthusiastically in the days and months ahead," it said. Harris would create history by becoming the first woman to be elected as the US President if she wins the 2020 presidential race against Trump. The community members cautioned that the politicians cannot take the Indian-Americans for granted and need to earn the support of the community. "Any politician shouldn''t look at the Indian-American community as a monolith at all. They cannot take us for granted because we also have a Hindu American running for president, Tulsi Gabbard, and she has been also reaching out and getting supporters," Silicon Valley-based Rangaswami said. Gabbard, the first Hindu elected to the House of Representatives, has also announced her bid for the 2020 presidential election. "Nobody can take us for granted and they have to come talk to us, earn our vote, earn our support. The community is not just ready to go behind any one person, and also it shows that the community has gained a lot more influence...," he said. 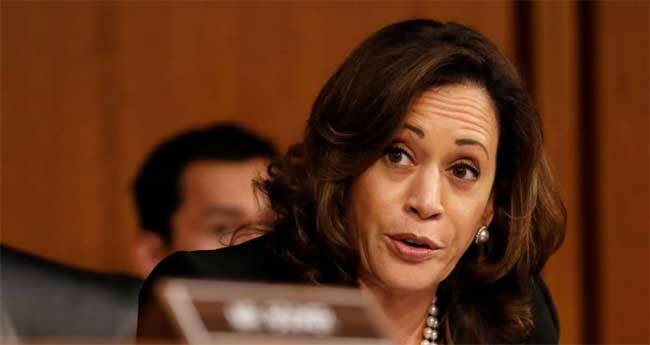 After becoming the high-profile Senator from California, Harris, whose mother Shyamala Gopalan migrated from Tamil Nadu to the US as a young student for higher studies, has maintained a distance from the Indian-American community, which has felt proud of her accomplishments. It is only in the last six months that she has started attending some of the Indian-American events. "Is she a viable candidate? 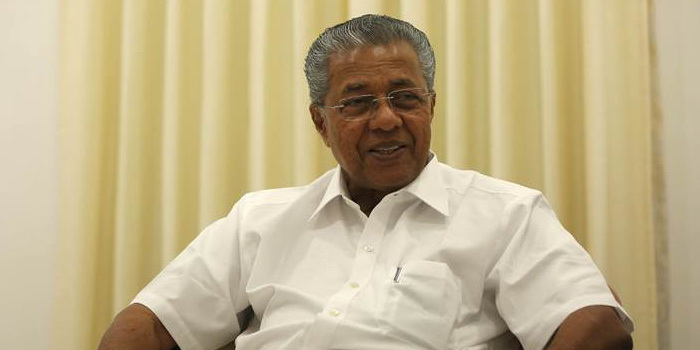 The answer''s yes," Virginia-based Shekar Narasimhan, chairman and founder of the AAPI Victory Fund, told PTI. "She has at least the same credentials as (former president) Barack Obama did," he said. However, it''s too early to say on the Democratic party''s presidential race, the winner of which in all probability would have to face incumbent Donald Trump, he observed. In at least four of the early primary States – Nevada, North Carolina, California and Virginia – Harris would need the support of Asian Americans where they are in significant numbers, he said. "We do not know today, if she can win or not. But she has a chance (to win the presidency)," Narasimhan said, adding that it was never the case with Republican Bobby Jindal, the first Indian-American to run for the White House in 2016. "It''s amazing! Isn''t it that we have a viable candidate, who is at least half Indian-American running for president of the United States? I don''t know if anyone of us thought that this was going to happen anytime soon," said the long-time Democratic political activist from Virginia. "My first reaction and the reaction of everybody I talked to from the next generation was: We have arrived," he said. Eminent Indian-American Frank Islam, who was closely associated with the Clinton campaign in 2016, said Harris will be a formidable challenger. "But she needs to define herself and she needs to differentiate herself from other challengers in crowded democratic presidential field," he said. "She has personal story - a child of mixed race that will resonate well with Americans. She is not well known but her work as a prosecutor will demonstrate her toughness but her record will be under scrutiny," Islam said. Indian-Americans constitute 1 per cent of the American population and are one of the fastest growing minorities in the country.